It was a bit expensive for what it is, but I got it on sale. And I’m pretty excited about it. 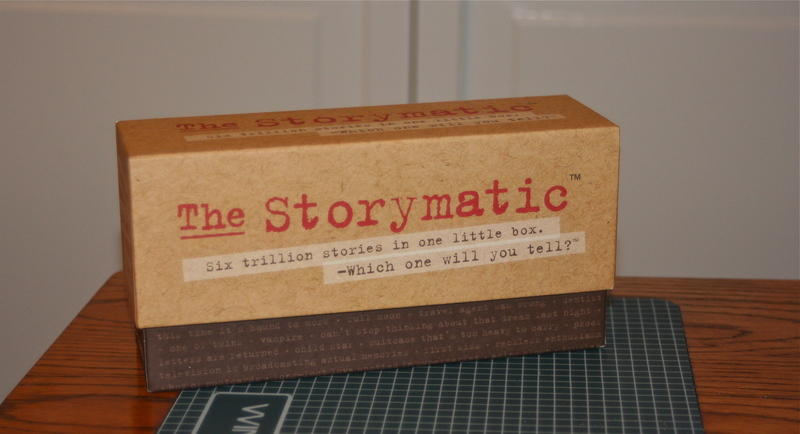 Basically, it’s a box filled with cards that you can use to play a story-telling game or, you know, use for simple writing inspiration. What fun! Restoration Hardware always seems to have an out-of-place seeming section of gift goodies… wonder if the one by me still has this after the holidays?